When you release your mouse button, a macro dialog box will appear. Click the name of the macro that you wish to run when the user presses the �Say_Hello� button, then choose �OK.� If you haven�t yet created the macro, you can create it now with the �New� button or you can record one with the � Record� � button.... This article describes how to create a button and place it on an Excel worksheet then assign a macro to that button allowing the user to print the worksheet when the button is clicked on. 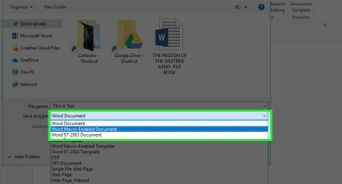 This article describes how to create a button and place it on an Excel worksheet then assign a macro to that button allowing the user to print the worksheet when the button is clicked on.... What we have to do is use the OnAction property to assign the second macro to the button once the first macro is executed & vice-versa. Add this code at the end of �ON_BUTTON� macro to assign �OFF_BUTTON� macro to the switch. Background: I created a macro for a friend that will create a pivot table from a large worksheet of data. The data will always have the same number of columns �... When you release your mouse button, a macro dialog box will appear. Click the name of the macro that you wish to run when the user presses the �Say_Hello� button, then choose �OK.� If you haven�t yet created the macro, you can create it now with the �New� button or you can record one with the � Record� � button. This article describes how to create a button and place it on an Excel worksheet then assign a macro to that button allowing the user to print the worksheet when the button is clicked on. What we have to do is use the OnAction property to assign the second macro to the button once the first macro is executed & vice-versa. Add this code at the end of �ON_BUTTON� macro to assign �OFF_BUTTON� macro to the switch. When this is complete, and the macro is saved, create the button. To do this, you have to use another object other than the basic cell - i.e. an AutoShape or picture. i recommend using AutoShapes, as you can add text to describe the control.